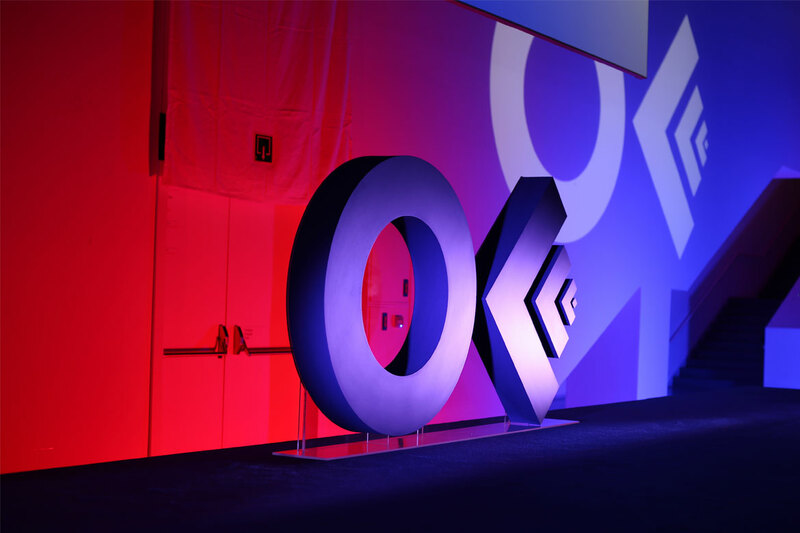 On April 10th, the Wix Design bunch returned from the OFFF design festival in Barcelona. Apart from the great excitement of our awesome sponsorship (which you can read all about in a blog post coming soon!) 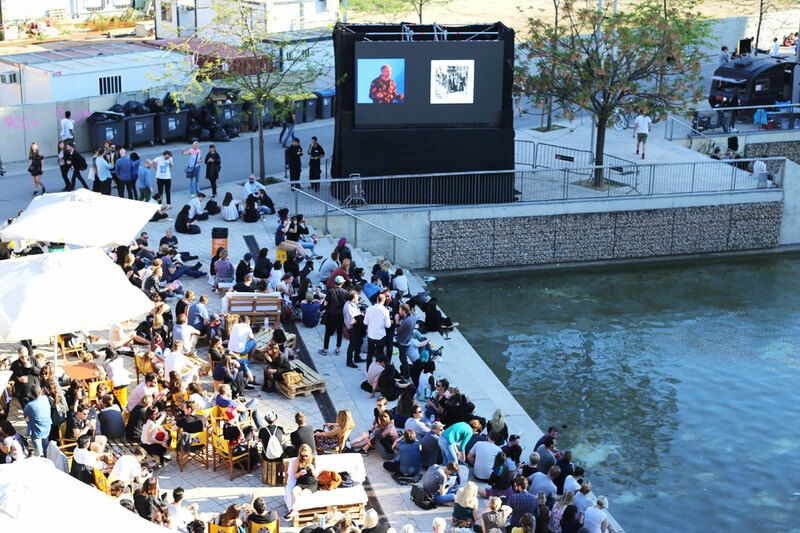 we had the pleasure of checking out many inspiring talks and presentations throughout the festival. After much deliberation, the team chose their favorite, most memorable presentations and wrote a summary of each one to share with you. Annie Atkins probably has one of the coolest jobs in the design field – a graphic designer for films. But what exactly does that mean? Throughout her mind-blowing presentation, Annie showed examples of her work including artwork for movie posters and numerous graphic props which are necessary for every film. For example, neon shop signs and fake passports for Spielberg’s new Cold War spy thriller; or prison escape maps and telegrams to help create Wes Anderson’s fictional State of Zubrowka for The Grand Budapest Hotel. Every time you see a movie character pick up a newspaper – someone has to design that entire page. And that’s the job of a graphic designer for films. One of the most fascinating things Annie explained is that she always sticks to original techniques when she needs to recreate or design. For example, if she needs to design a death execution warrant, she will use hand-written calligraphy instead of faking it with Photoshop. This allows her to experiment with many new methods of work, and also assures the prop has authenticity. Most of her presentation was about the set of The Grand Budapest Hotel, which was fascinating. 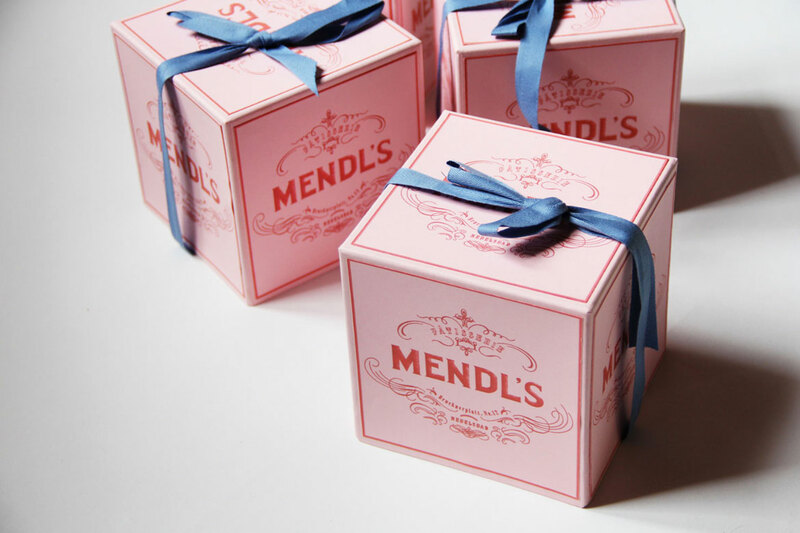 She spoke about working closely with Wes Anderson, who’s a very hands-on director that cares deeply about every graphic design detail. It was also amazing to see the “behind the scenes” process of her work – and learn how she’s actually given the script of the movie. She then highlights all the places where she spots a prop, and creates her own list of items to design. Even though she claims that 95 percent of the things she designs gets lost in the background with the viewers barely noticing, the truth is that they make a huge difference and have an important impact. It helps the actors and the directors to transport themselves to another world, and especially in cases such as The Grand Budapest Hotel – which is such a visually impressive movie – her work was incredibly significant, It was a once in a lifetime experience for her, and now, for us. In every conference line-up there’s one presenter who’s your favorite, the one you follow and know every work they’ve ever published. In my case, it was Studio Buck. And it was amazing indeed. Studio Buck is a design-driven production company, built from an integrated collective of designers, artists, and storytellers who believe in the power of collaboration. Orion Tait, who gave the talk, is one of the founders and leaders of the studio. In a very humble way, he gave the audience a glimpse of their process through showcasing several different pieces of work. Most of the projects were based on classic animation. The first was a teaser for an upcoming show by the famous magician, David Blaine. David wanted something weird and bizarre, and gave Buck total freedom to basically do whatever they wanted – and they knew what they were doing. The author Paul Auster wrote the script and helped in creating this beautiful video. Orion continued by showing two pro-bono projects they recently produced. When a studio like Buck does this type of thing, and gets full creative freedom plus a devoted team for a great cause – you know something good will come out of it. This award winning film was made for an online bookstore with all profits going to charity. The second project was ChildLine, a typography based video produced for a children’s counseling service. Its beautiful sound design is by Antfood, a creative audio studio signed on most of Buck’s recent works. After seeing Anton & Irene for the first time at OFFF 2015, I couldn’t wait for my rendezvous with them. And the talented duo didn’t fail to exceed my expectations. As former Manhattan agency directors turned Brooklyn hands-on designers, they gave a fresh talk showcasing recent projects with an interesting new perspective on life, design and managing a self-employed studio. They showed three major projects (This, this, and this) they have been working on lately, all intelligent and beautiful. 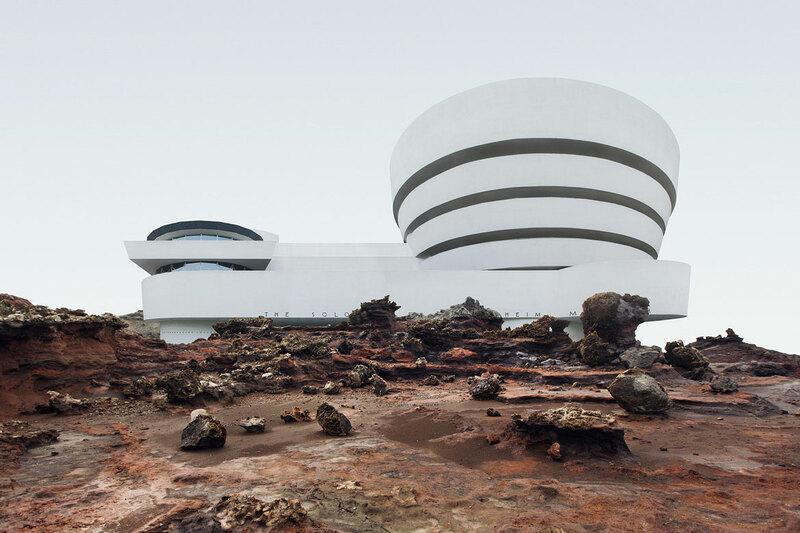 The one I liked most was “Misplaced – New York”, which started as Anton’s personal obsession with weird and massive architectural monuments in NYC. All the images he captured and edited turned into beautiful images that look like something from outer space. The technical staff was working on Gary’s computer while everybody waited in their seats for the talk to begin. His presentation wasn’t working. Meanwhile, he was dancing on stage dressed in something that looked like pajamas, and kept throwing a weird object into the air. He obviously had no intention of trying to look like a serious designer who knows what he’s doing, and that actually was what kept me waiting in my seat. “The door is always open” – Gary stated to the audience when he finally began – imitating his dad with a polish accent. His presence on stage kept this openness theme as he continued. He took off his shoes and stayed barefoot during the entire talk; whenever there was music playing in the background, he danced to it; he shared his own private sketchbook with the audience, literally letting the crowd pass it around; and the object he kept throwing into the air turned out to be “Toby”, one of his illustrated characters turned to a real-life doll, which he also passed along for everyone to see. He talked about the fine line between illustration and art, his collaborations with fashion brands, and exhibitions he holds around the world. He talked about each of his different characters, which I could listen to forever. Each one has it’s own individual traits and plays its own complex part in Gary’s world. That was the real magic about him – he treats and talks about what he does with such passion, that it doesn’t matter it’s all made up from his mind. Even if his images and entire work are all fiction from his own wild imagination – I don’t care, I fell in love. 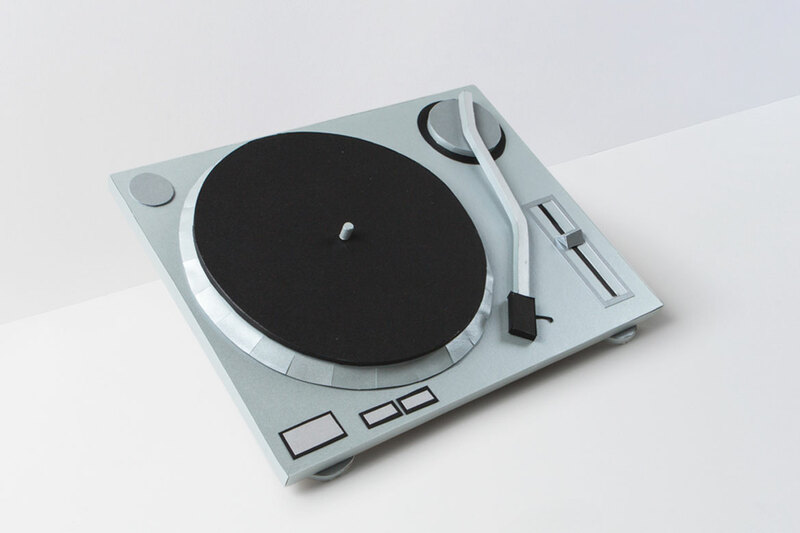 Gmunk, (Bradley G Munkowitz) is a designer, director, and image-maker based in San Francisco. As the main headliner of the first day, he didn’t disappoint with a presentation packed with gorgeous visuals, making the 50 minutes fly by and end with a standing ovation. Bradley showed how his starting point in designing futuristic UI for films, TV and commercials led him to experiment with synchronized and controlled lasers and LED lights. His first ground-breaking project using this technology was for the 2013 Fitch Amsterdam Conference. This project led Microsoft to ask him to create the Windows 10 Desktop Hero image, which was created by capturing laser beams (!). This path continued, leading Bradley to create an interactive LED and mirror installation in the Santa Monica Pier, and another crazy motion-control based ad for Audi. On the personal side, he talked about his struggle to keep himself interested and about his constant search for new techniques and creative fields. He explained how he keeps his website fully curated with all the projects he’s ever created. He’s a self-proclaimed “grid freak”, meaning he’s constantly adding empty slots for future projects, and therefore keeping himself motivated by the urge to fill those blank spots. Bradley also talked about another one of his major motivations, which is trying to mimic and create the imagery of his psychedelic experiences. 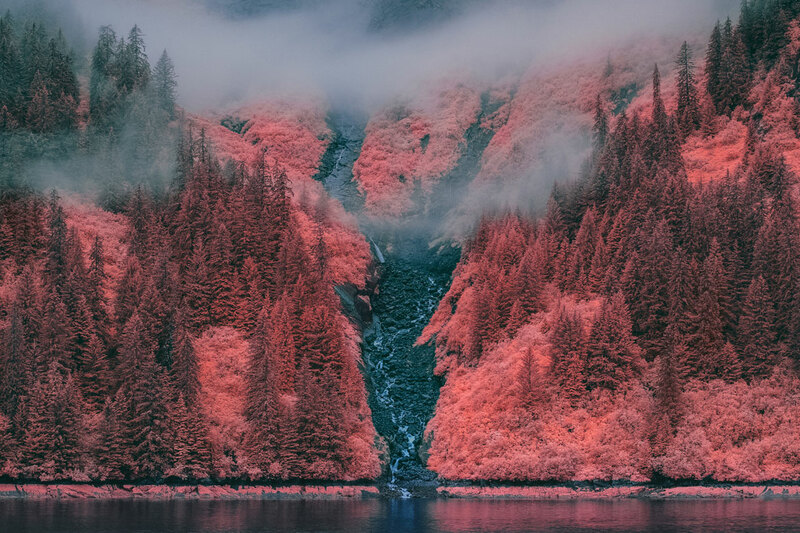 One of his latest passions is taking photos with infrared filters, and capturing scenery in a whole new light and atmosphere. You should check out those images and more on his very cool Instagram account. Not actually a lecture or a talk, but still a great experience. When we learned “The Happy Film” would be screened at the festival, we couldn’t be happier (pun intended). There was a screening in Tel Aviv a few weeks back that we all missed, so it was a great opportunity to catch the film here. We knew seats were limited, so we patiently stood in line for an hour before to guarantee our spots, and it was worth it. 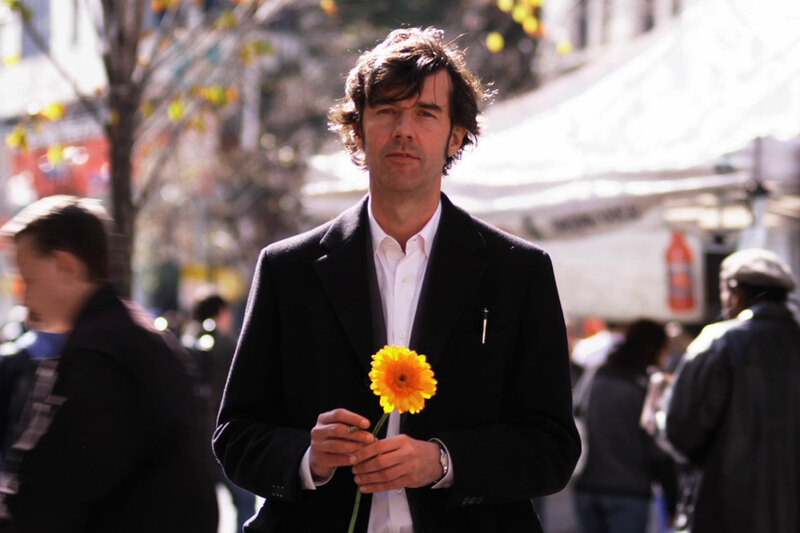 In case you aren’t familiar with “The Happy Film” – Stefan Sagmeister, the world renowned designer from Sagmeister & Walsh, has been working on the film for the past few years, documenting his search for happiness. He does so through experimenting with three main methods to achieve happiness – meditation, therapy, and drugs. It’s a feature-length film, sometimes a bit boring and self-involved, but for the most part funny, touching and has bits of cool experimental typography. All in all, it was a real pleasure to watch and a great break between lectures. Anthony began by showing his huge type collections with different stencils and old grotesque fonts. His obsession with collecting all sorts of paper clips, newspaper ads, vintage carton boxes and countless icons and symbols were all gathered and turned into one incredible archive. The thing that most caught my attention was the fact that Anthony prints all his designs himself, using ancient Heidelberg printing machines. I thought that was pretty amazing and unique, putting all that effort and energy into using an old handmade technique, even though you can achieve the same outcome using Photoshop. Impressive! His use of bold typography along with short, strong messaging in his projects kept me intrigued throughout the whole talk, especially in funny projects such as the “re-branding” of a cheap hotel in Amsterdam, The Hans Brinker Budget Hotel. I also recommend watching this video, it’s a great sum up for the whole talk. It took a few minutes to get used to the thick Scottish accents of the Glasgow duo behind JamHot. But once you did – it was a pure joy ride throughout their talk. With matching short cargo pants and a constant flow of enthusiasm, JamHot presented their work, ideas, and methods. It might not have been the most original or stunning presentation at the festival, but they had such a refreshing approach and manner in the way they talked with the audience who came to listen. 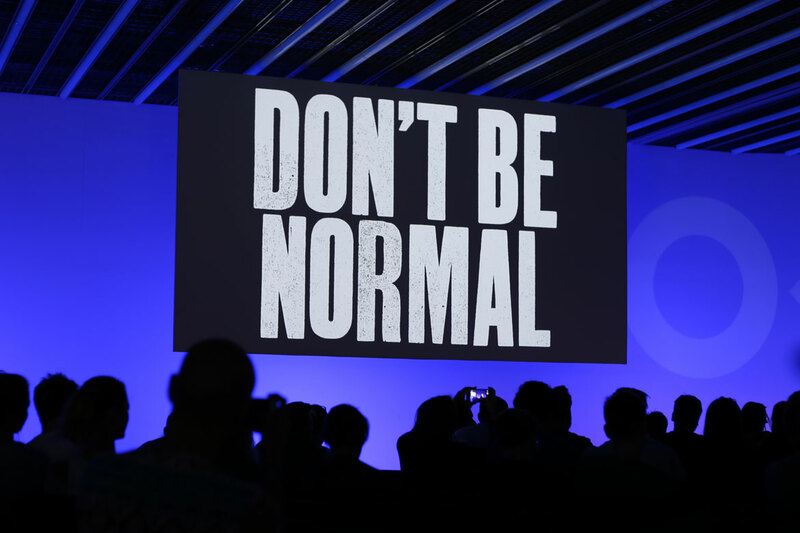 I especially loved when they shared how they were given the opportunity to present at OFFF – they sent an email! That was all. Sometimes all the inspiration you need is not from someone showing you another beautiful thing, but simply telling you to send an email. The two founders of Studio Foreal are the definition of cool without trying: Germans who are not afraid to admit they’re not from Berlin, aren’t ashamed to screen a showreel displaying their most embarrassing commissioned projects, and talk with refreshing sincerity about the frustrating moments when dealing with clients. In their talk, the Foreal founders explained how the “Inertia Model” works for their studio by managing projects for money, for fun, and for fame. 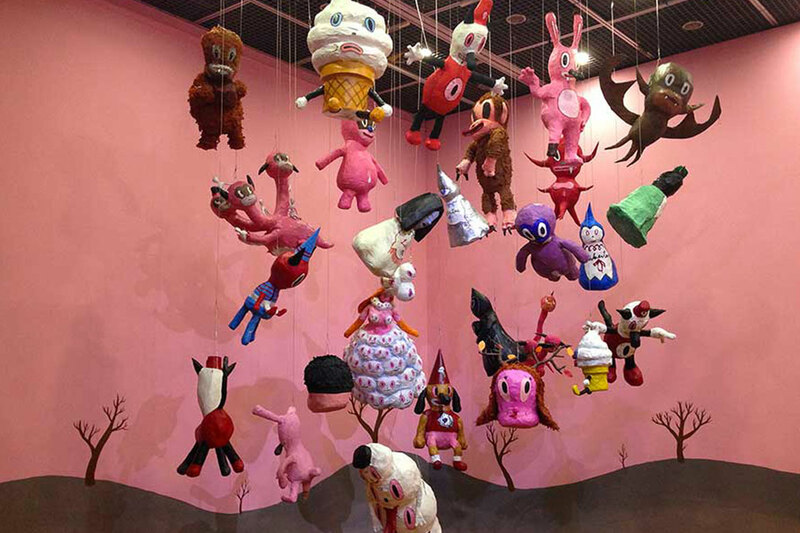 Their commissioned work sustains the studio and brings in money, which allows time for fun, personal projects. The fun projects bring social media publicity (fame), which brings in clients who pay – creating a full circle. Of course, in their honest approach they also showed how this model sometimes gets stuck with an annoying client who just won’t let go. That was the special thing about the Studio Foreal talk – they managed to avoid the banality of lectures that only show you the cool and fun parts of side projects, displaying a fake harmonised picture. With a lot of humor and a lot of balls (literally – they were also lots of balls and penises in the presentation), they showed the less attractive side of day-to-day work in a studio, while also showing their strategic model and the cool projects we all love to see.